I'm so sorry for not updating for the past 2 weeks or so, I've been so busy juggling work and my studies and updating my numerous other blogs, I just didn't have the time to update this blog too. Today I will be reviewing 2 relatively new releases from 2 of Japan's largest snack manufacturers; Meiji and Morinaga (Glico and Lotte being the other largest companies), and they both prominently involve chocolate! affogato is a popular Italian coffee-based dessert, basically it's hot espresso coffee poured over a scoop of ice cream or gelato. Each box of these affogato flavored Koeda contained 11 individually packaged little Koeda chocolate "twigs", there were 4 twigs contained in each individually wrapped package, so 44 twigs in total, which is quite a generous amount for your money. However, if you are a chocolate junkie, then it might not seem enough to you as you'd probably devour the whole pack in no time, I know I did! 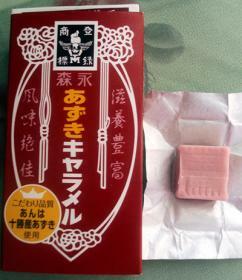 As soon as I opened the first little package of Koeda sticks, my senses were immediately welcomed by the pleasant aroma of espresso coffee, the essence of coffee was further enhanced by the rich espresso taste infused into the little chocolate twigs, I was also about to detect a very faint sweetness of what I thought tasted very similar to vanilla ice cream. 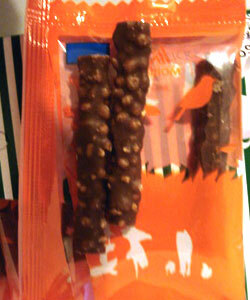 And the malt puffs embedded throughout each choc twig added a nice soft crunch and texture to the chocolate. Overall, this was a great new addition to Morinaga's 'Koeda' range of chocolate twig snacks, the flavors were so accurate, the consistency of the chocolate was rich and smooth, and the malt puffs were crispy & crunchy. What more can I say? A beautifully executed confection, I actually think this new affogato flavor is even more substantial than the original milk chocolate Koeda! 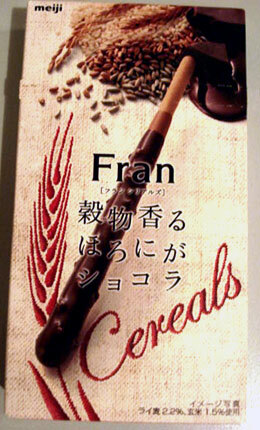 I was so excited when I saw this new release 'Fran' chocolate biscuit sticks with CEREALS in NapaJapan's catalog a few months ago, so I eagerly ordered it without hesitation and I'm so glad I did, but I have to also add, I was disappointed that I didn't order more of it when I had the chance! 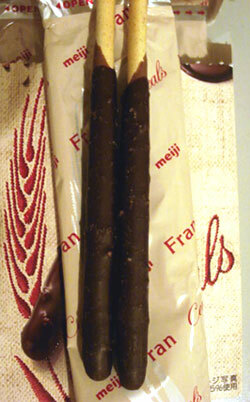 Typical of Meiji's Fran biscuit stick snacks, each stick was 80% covered with 2 layers of chocolate, in this case milk chocolate, the top choc coating in particular was thick, rich and smooth and melted in my mouth. 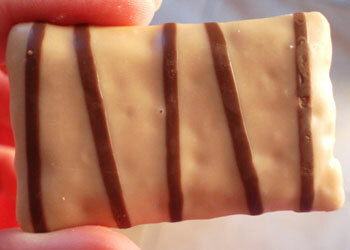 But what makes this new release Fran special and unique to other past Fran releases is that it also contains pieces of REAL crushed whole grain cereals embedded in the chocolate coating! the cereals also helped to give some texture to the chocolate. There is also a white chocolate variant of this new chocolate with cereals Fran, which I definitely plan to try also in the near future. 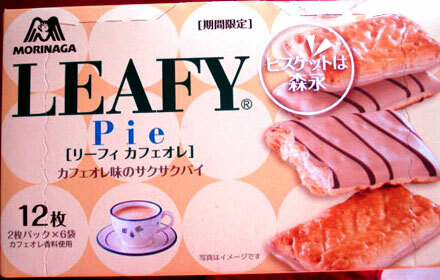 they are basically rectangular pieces of puff pastry cookies/biscuits with a layer of café au lait flavored chocolate on top, each pastry cookie were quite decent in size, larger than I had originally expected these cookies to be which was a nice surprise. Because these were made of puff pastry, the texture of the cookies was very light and flaky and crispy, and had a very nice soft crunch to them. Overall these cookies were really irresistibly delectable to me and well-balanced; the pastry cookies themselves, the layer of chocolate coating and the caramelized sugars, all blended together and complemented each other well in terms of flavors and textures, creating a really delectable treat to enjoy anytime anywhere. Sorry guys for the slow updates, I have quite a busy life and don't have a lot of time to update my blogs. 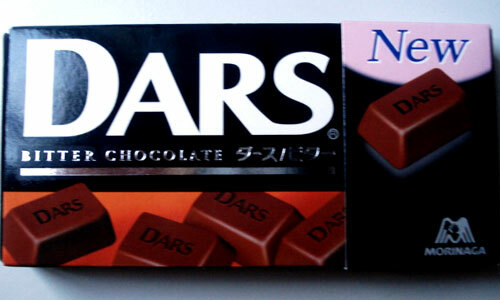 Anyway, today I will review about these yummy 'Dars' chocolates from Morinaga, these 'Dars' chocolates have been in existence for many decades and has enjoyed great popularity in Japan for many years. 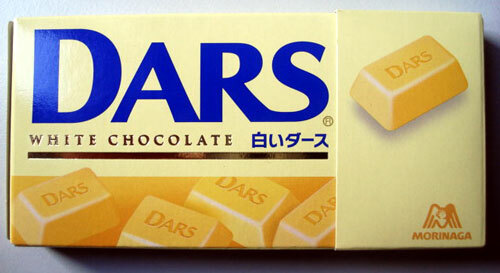 During my last trip to Tokyomart, I managed to get my hands on the classic white chocolate Dars, and the fairly new release 'Bitter chocolate' Dars, which is basically dark choc, released in late last year. these decent-sized pieces of sweet white chocolate had a lovely smooth and creamy texture and literally melted in my mouth in a matter of seconds, these chocolates were absolutely divine, there's really no need to describe in detail just how irresistibly yummy they were. I literally devoured the whole pack in under 2 minutes! I don't usually eat white chocolate because of its lack of cocoa solids; which are the low-fat nutritional component in chocolates, in other words the cocoa content or 'cacao'. Therefore on nutritional terms, white chocolate is the most fattening and unhealthy choice when compared to its milk and dark counterparts. 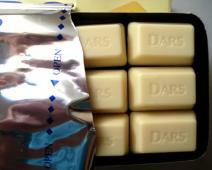 If you are a white chocolate lover, then you just have to try these white choc Dars! 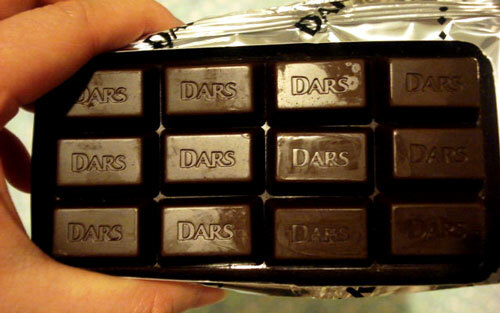 these are dark chocolates basically, same beautiful smooth, creamy and melt-in-your-mouth texture as the white Dars, infused with the decent amount of bitterness of the cocoa. And because this is dark chocolate, these are even better for my preference since I am such a avid lover of dark chocolate! 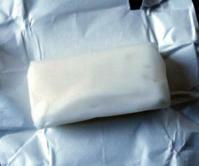 And nutritionally, these are also the much healthier option. "koeda" literally means 'small twigs' in Japanese, and indeed, once you open the box you realize that these little Koeda sticks are made to resemble little tree twigs, they look so cute! I didn't measure each "twig" of chocolate, but I believe, if my memory serve me right, that they were no longer than 4 or 5cm each. 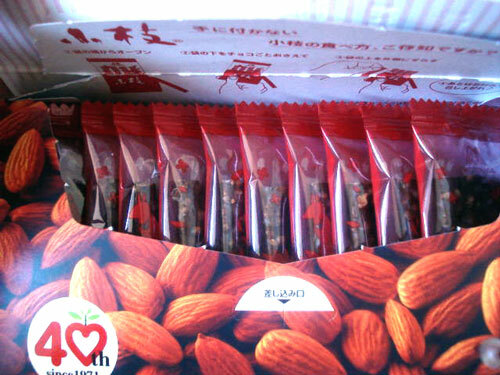 The box contained 10 small packets of Koeda choc sticks, and each packet contained 4 sticks, so a total of 40 Koeda sticks were included in the box. And at less than $6 for each box, I think it was a reasonable value for your money. 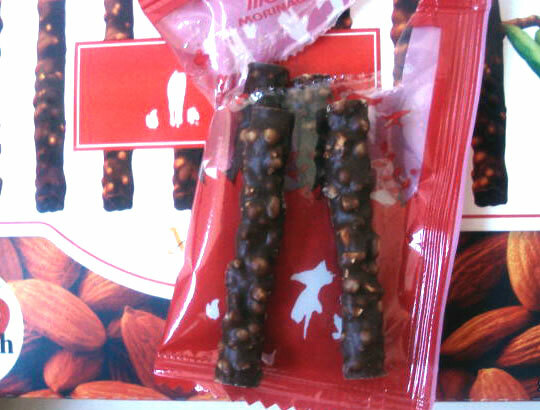 Basically each small Koeda stick consisted of plenty of little crispy malt puffs covered in milk chocolate, the choc had a pleasantly smooth and creamy texture and taste, and accompanied with crispy malt puffs, I think it's a match made in heaven in the confectionery world. 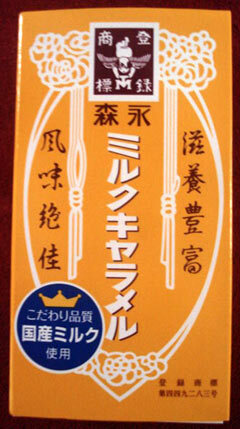 To be frank, this was my first experience with Morinaga's 'Koeda' brand, although I've long wanted to try it, and I'm glad I did this time round because I happily devoured the entire box and really enjoyed the taste and textures of each Koeda stick. I'll definitely be getting more Koeda snacks! 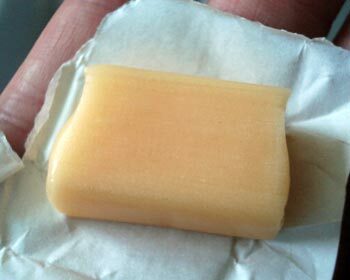 each piece of these caramels were surprisingly soft & chewy and creamy with a rich flavor of milk. 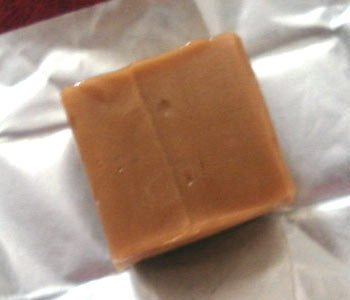 They have a very different texture to regular caramels that are hard & sticky. The coupling of the sweetness of the soft caramel and the creamy milk content is a match made in heaven really! 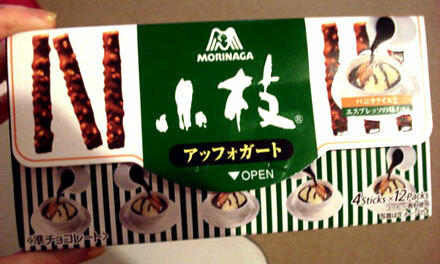 Overall, I definitely recommend these Morinaga caramels! 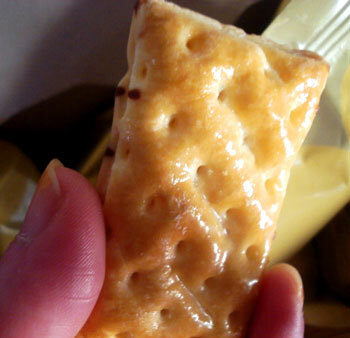 Even if you are someone like me who usually doesn't like caramel, even I was won over by these! 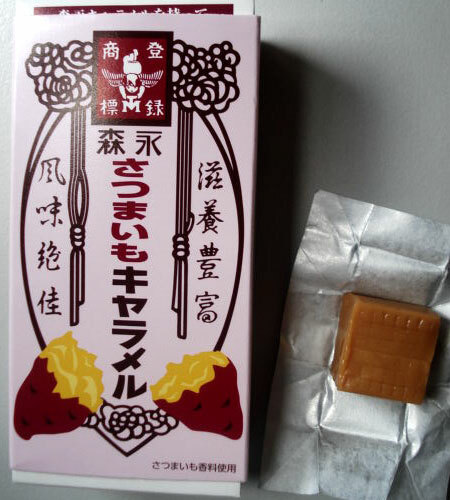 There are numerous other flavors for Morinaga caramels available, there's also the chocolate flavor, the Azuki flavor and the Matcha flavor, and more! I think I'll try the Matcha flavor next time! on the label it says "Hi-chu Jr.", so I'm guessing this one is mainly targeted for children? 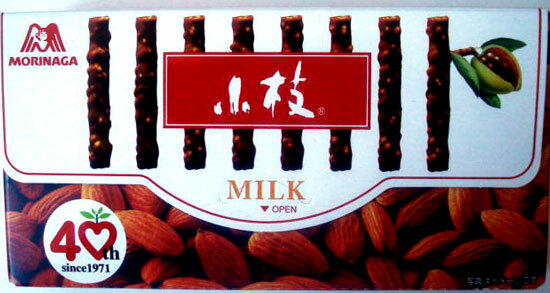 I wasn't sure since I didn't pay much attention when I bought this at the local Chinese grocery. To the candy itself, there were about 7 candies in each pack, as expected, each candy were very chewy like bubblegum, and bursting with sweetness...there were also some caramelized sugar embedded in each piece, to give them that texture of cotton candy. Over all, it was nice...but, not that tempting for me personally...I don't know...I guess I just don't like the idea of the sugar embedded in the candy very much...I know it gives the candy the texture of cotton candy, but still...I just wasn't very fond of it, but that's just my own preference. 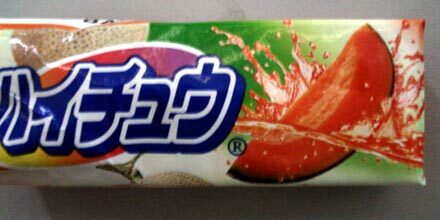 I liked this one better than the cotton candy, again, very chewy & each candy was bursting with lovely Rockmelon (also known as Cantaloupe in America) flavor. I love melons & melon flavored candies!